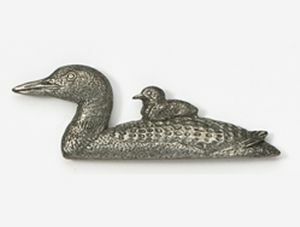 Antiqued Loon with Chick pin cast in lead-free Fine Pewter. Pin has two short nails and two flat-backed clutches. Measures: 1.8" long X .6" tall. Crafted in the USA.